Dr. Lawrence Kacmar, MD, offers joint and soft tissue injections in the context of primary care for residents of Aurora, Illinois. 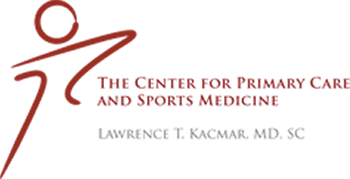 As a sports medicine specialist, Dr. Kacmar recognizes the benefits of these diagnostic and treatment modalities for conditions like joint pain. What are Joint and Soft Tissue Injections? Joint and soft tissue injections are shots in which a needle is inserted into the joint or into a tissue space like the area between a muscle and bone. The needle may be used only for the injection or may also be used to take out fluid (called an aspiration). This procedure may be performed in almost any area of the body, although common areas for joint injections include the shoulder and knee. What Are Joint and Soft Tissue Injections Used For? Joint and soft tissue injections are used for two reasons. The first is to diagnose a condition like an infection or to identify exactly what is causing pain. If an injection makes the pain resolve, it's a good indication that the problem has been identified. If the aspiration part of the procedure shows bacteria, it can confirm that the problem is an infection and help identify the cause of an infection. Treatment is the second reason. Medications like lidocaine (a local anesthetic) and cortisone can help relieve pain and inflammation. 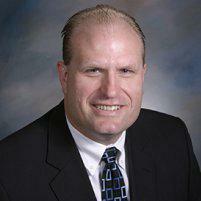 Joint and soft tissue injections are office procedures. After cleaning the skin, the doctor will begin by injecting a small amount of numbing medication in the area of the injection. A larger needle is then inserted through the numb area and into the joint or soft tissue. In some cases, the procedure is done while using an X-ray machine to ensure the needle goes into the right spot. Most patients feel little or no pain during the procedure. If an aspiration is required, the doctor will usually send some of the fluid to the lab for analysis. Most patients don't have any problems after a joint or soft tissue injection and can resume their normal activities within a day or so. Ice can be applied to the injection site to minimize discomfort. The injection site must be kept clean and dry. If any redness or swelling occurs, or if pain increases after the injection, the doctor should be notified right away.